For Valentine’s Day, consider planning a trip for you and your partner, rather than spending on an expensive gift, suggests a new research by The Postcard Hotel, India’s all-new experiential luxury hospitality brand. The Postcard conducted the research with individuals in a relationship, ahead of Valentine’s Day to authoritatively confirm what is known anecdotally, that vacations have a positive effect on relationships and romance. The survey also determines what destination is most preferred for a romantic getaway, activities couples wish to engage in and hotel attributes that are preferred.. Vacation preferred over an expensive gift for Valentine’s Day: An overwhelming 78% of respondents agreed that a vacation tops any other gift as the ultimate Valentine’s Day gift. Yes, say respondents, vacations equal romance: An overwhelming 61% of respondents confirmed that vacations help to rekindle the romance in their relationship. However, there exists a gap between awareness and its translation into action. 53% of couples said that they had not planned a ‘lovecation’ in over a year! Beach is the most preferred romantic destination: A beach destination emerged as the most preferred for a romantic getaway. Nearly 69% picked a beach destination, followed by time in the mountains. Bucket list of where to go decides vacation destination: A majority of the respondents, 57% said that they picked a location of their own accord and maintained a bucket list of getaway destinations they would like to visit. 32% said that they were influenced by their family and friends, while the others said that social media posts of beautiful locations helped spark their imagination. Outdoor activities and local food experiences most preferred activities: Interestingly, outdoor activities such as hikes, water sports were picked by most respondents – 67% of them as their preferred experience while on vacation. Food experiences were the next most important experience on their list. Restrictive timings of check in/check out and meals, most irksome in a hotel: Majority of the users said that restrictive timings for both check in and check out and fixed meal times were the most annoying to feeling relaxed when on a vacation. 52% of all users picked curated local experiences such as food and activities followed by a plush bath and bed as their most ideal attributes in a hotel. Planning the trip is most stressful: Research and planning for the trip emerged as the most stressful followed by packing for the trip. 53% picked the latter as the most stressful phase of planning a vacation while 23% picked the latter. “We can now say with authority that travel has a positive effect on relationships. Couples who take time to vacation alone together can keep the romance in their relationship alive. This insight into our modern audiences and what delights guests and what really irks them defines the offering of The Postcard Hotel – rich in experience but also simple. We believe guests want to stay in a place where the hotel does the thinking for them, where they get the simple things right, yet offer fantastic spaces for them to relax and experience local culture. We are literally bringing back the romance and charm of sun-kissed holidays. 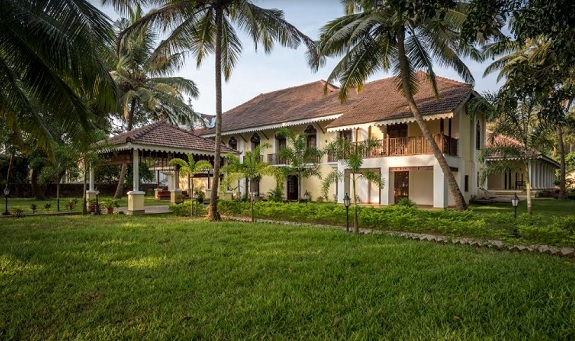 This is why we handpick our locations and our hotels so that guests have a different experience whether they are in Goa or overlooking the snowclad Himalayas,” said Kapil Chopra, Founder and CEO, Postcard Hotels and Resorts. The Postcard currently has three hotels spread across unique neighbourhoods in Goa. The Postcard Moira, up North nestled in one of the four heritage villages of Goa, The Postcard Velha, surrounded by 300 acres of virgin coconut plantations in Old Goa; and further South, in keeping with its proposition of taking travelers back in time, The Postcard Cuelim, that houses a 350-year-old chapel and is minutes away from a quiet beach. Transformative experiences and the local community are at the heart of The Postcard Hotel’s offering. The experience within the hotel, too, is in keeping with the times of conventional luxury hotels. This means no set breakfast hours, no buffets, and definitely no sugary welcome drinks. In its place, will be authentic local experiences, from food, to design, to artisanal welcome cocktails, to defining your own check in and check out hours and immersions with the local community. Kapil Chopra founded The Postcard Hotel with the mission to create extraordinary experiences for discerning travellers in intimate hotels with a team of exceptional hoteliers. The Postcard Hotel is an experiential luxury hotel brand that is committed to delivering a highly personalised service. The brand is resolute in its dedication to crafting stunningly designed hotels, preserving local authenticity from design to cuisine, while offering impeccable service in 50 intimate hotels in 5 years. For more information, please visit www.postcardresorts.com.